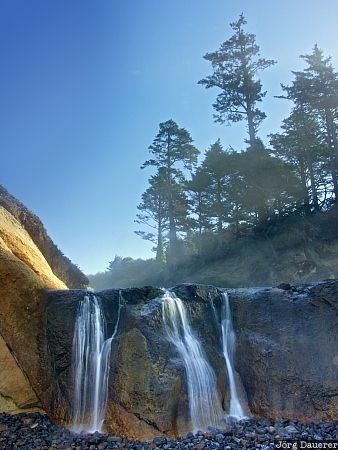 A small waterfall on the Pacific Coast in Oswald West State Park, Oregon, United States. This photo was taken on a sunny day in October of 2004. This photo was taken with a digital camera.